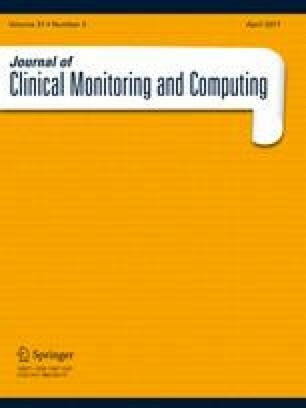 To study agreement in cardiac index (CI), systemic vascular resistance index (Systemic VRI) and stroke volume variation (SV variation) between the FloTrac/Vigileo at radial and femoral arterial cannulation sites, and pulmonary artery catheter (PAC) thermodilution, in patients undergoing orthotopic liver transplantation. A prospective observational study of 25 adult patients with liver failure. Radial and femoral arteries were cannulated with standardised FloTrac/Vigileo arterial transducer kits and a PAC was inserted. CI, SV variation and Systemic VRI were measured four times (30 min after induction of anesthesia, 30 min after portal vein clamping, 30 min after graft reperfusion, 30 min after commencement of bile duct anastomosis). The bias, precision, limits of agreement (LOA) and percentage errors were calculated using Bland–Altman statistics to compare measurements from radial and femoral arterial cannulation sites and PAC thermodilution. Neither radial nor femoral CI achieved acceptable agreement with PAC CI [radial to PAC bias (SD) 1.17 (1.49) L/min/m2, percentage error 64.40 %], [femoral to PAC bias (SD) −0.71 (1.81) L/min/m2, percentage error 74.20 %]. Agreement between radial and femoral sites for CI [mean difference (SD) −0.43 (1.51) L/min/m2, percentage error 70.40 %] and Systemic VRI [mean difference (SD) 0.03 (4.17) LOA ±8.17 mmHg min m2/L] were also unacceptable. Agreement in SV variation between radial and femoral measurement sites approached a clinically acceptable threshold [mean difference (SD) 0.68 (2.44) %), LOA ±4.78 %]. FloTrac/Vigileo CI cannot substitute for PAC thermodilution CI, regardless of measurement site. SV variation measurements may be interchangeable between radial and femoral sites for determining fluid responsiveness. This work was funded by departmental resources.